You've really got to hand it to the smarties at LoCa. Earlier this year they put together what has to be the most compelling projection of an AVA's terroir ever to land on our doorstep. The gist of it was this: one sub-appellation, one variety, specific winemaking standards/constraints, from six different vineyards. 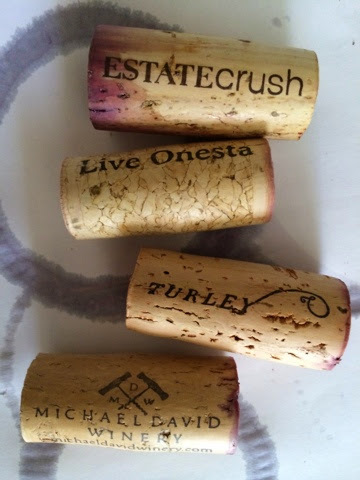 It was a master class in Lodi Zin and just what a difference vineyard site makes. In their most recent installation - an equally intriguing master class - they switched it up a bit: a single (obscure) variety from a single vineyard made by four different winemakers. The grape? Cinsault. The vineyard? The oldest contiguous Cinsault vineyard in the world: the Bechtold vineyard in Lodi. Planted in 1885, these vines were producing viable wine grapes long before Edison demonstrated his first viable bulb. 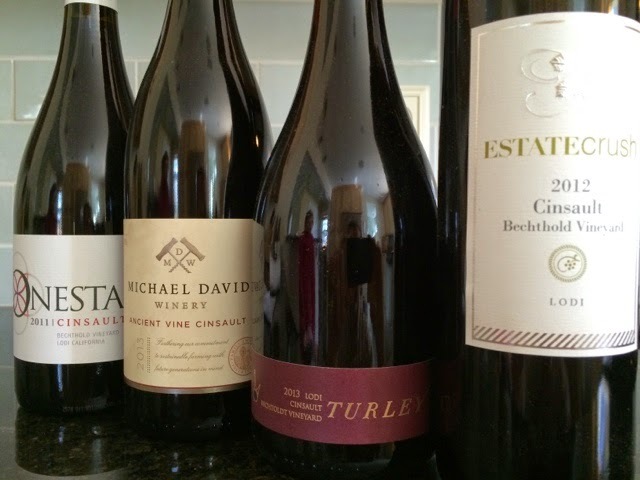 So, before we get to the meat of these wines, what is Cinsault? It's a vinifera primarily used in blending in french wines and is occasionally bottled on its own - also in France. Weight-wise, it's pretty close to Pinot, but with less insanity-inducing fringe flavors and more grip and tenacity. It would stand up to a hearty chicken dish and wouldn't overwhelm salmon. If you're familiar with better Beaujolais, you'd be on the right track. Despite the obscurity of the grape, here are four bottlings all from the same vineyard - not in France, but in Lodi, California. Often times when winemakers produce small batches of any single variety, the wines end up being caricatures of themselves. It seems almost unavoidable that when bottling 100% of any grape, whether intended as a blending grape or not, the winemaker runs the risk of lopsided distortion. And, so, with these, I was prepared for exactly that. Each of these wines is a complete package. And even though they'll all came from the same vineyard, each has its own personality. Certainly I have my favorites from this lot, but collectively they bat 1000 - there is not a single loser in the mix - an impressive feat for any collection of spice rack bottlings and yet another reason to look to Lodi for both quality and value. I returned to these wines again and again over the course of a day and found them to be collectively compelling. Beautiful clarity in the garnet color which shimmers in the glass. The nose has bright red fruit and a touch of graphite on it, Which lens in air of mystery and seriousness. Midweight and with ample tension, acidity plays a starring role in this energetic wine. Liquid rubies shimmering in the light. A soft, round, and inviting nose beckons you into the glass. The nose carries through faithfully to the palate where well integrated toasted oak makes for a broadly appealing and complete wine. Finishes minutes long. Popular, if ultimately simple. Fresh crushed flowers and berries on the aromatics give way to a decidedly continental style. Fresh and very stylistically French. If this were tasted blind, I wouldn't pick it as a Californian in a million years. Leaner and sharper on the nose than any of the others, and that's not where the differences and. The broad frequency of flavors come fast and from all directions, creating an intriguing, if dizzying drinking experience. The serious, multifaceted wine made well.